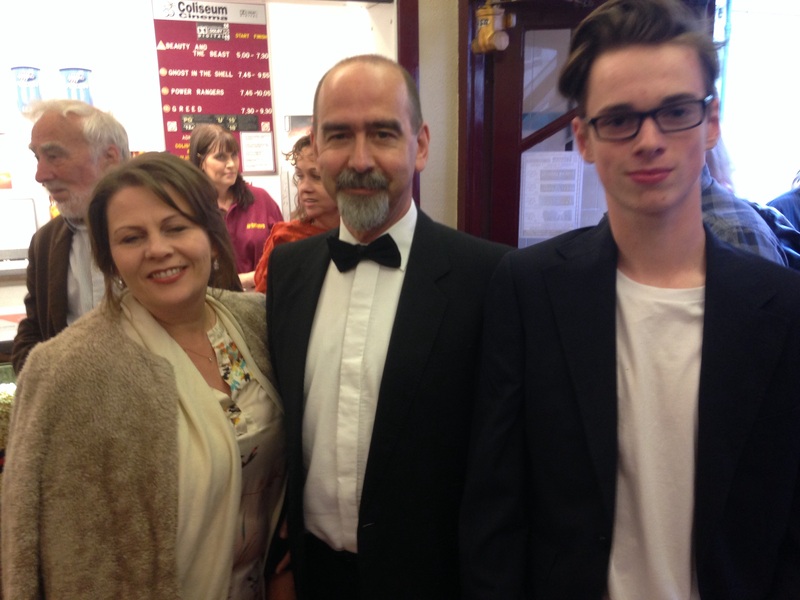 Brecon in Mid Wales saw the world premiere of Greed at Coliseum Cinema last night (Monday April 10). 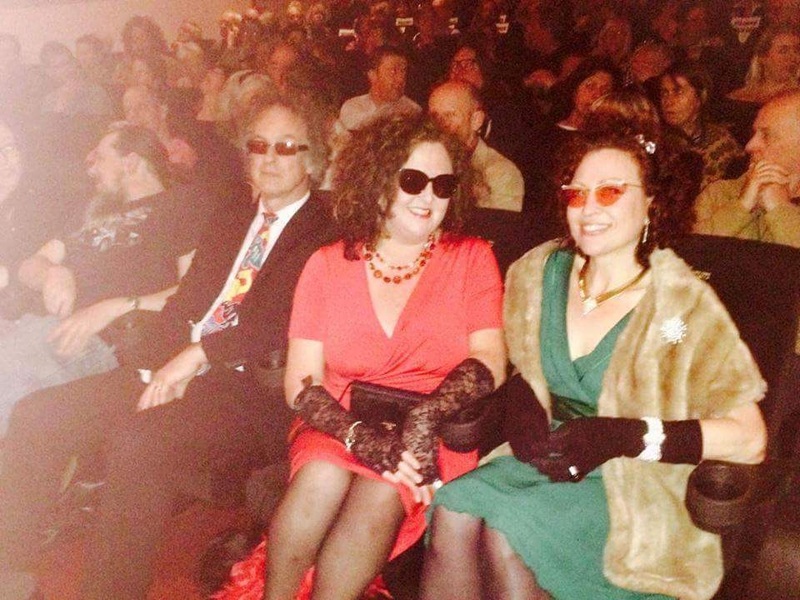 A sold-out invited audience were ironically glammed up for the politically zeitgeist movie, which has won two film festival global awards already. 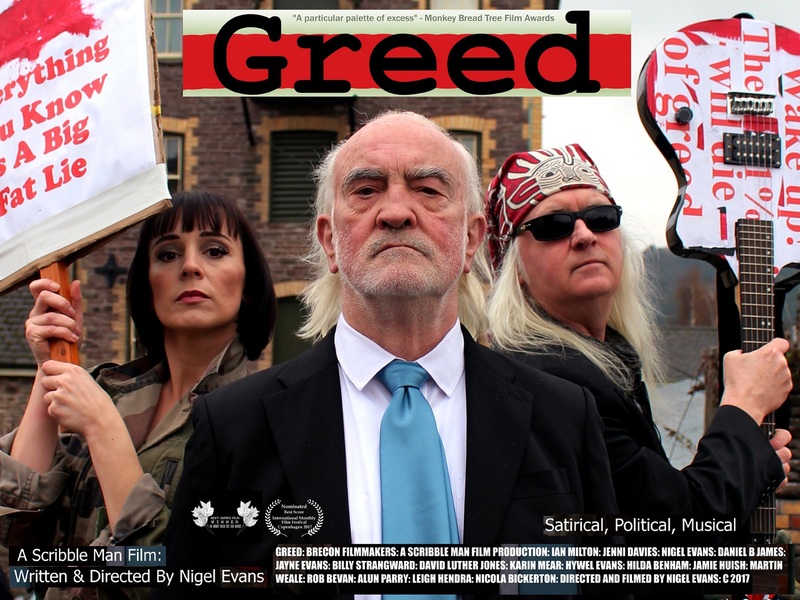 Greed was shot in Brecon and Aberdare in 2016 on a micro budget – no budget actually. The cross-generational cast (with actors between 14 and 74 years old) are mostly residents of Brecon, a town struggling in these challenging austerity times. It’s subversive, it’s anti-establishment, it’s a musical. It’s Welsh and like nothing else. 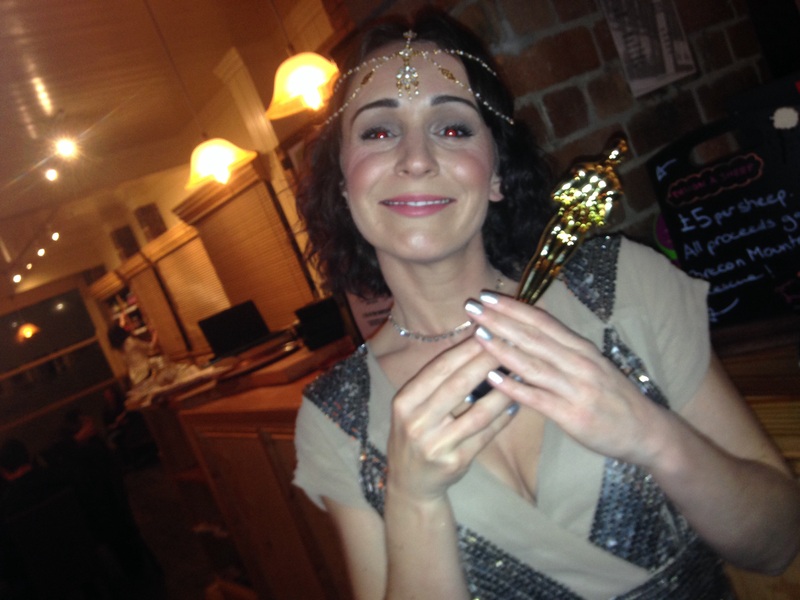 Greed writer and director Nigel Evans says: “Greed has done okay so far with film awards from the Monkey Bread Tree Film Awards in London and the Monthly International Film Awards in Copenhagen. 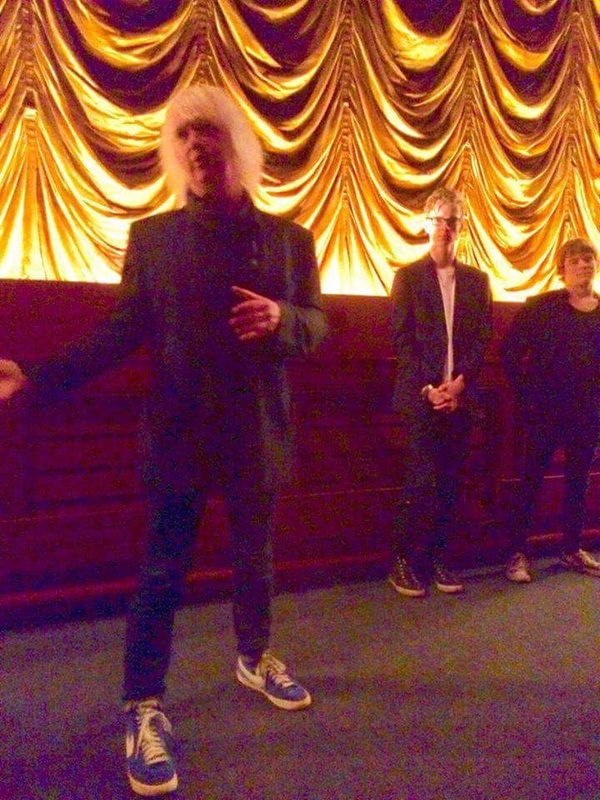 But local people were asking when they could see it, so we staged a private screening for them.